Tropical OG Feminised by 710 Genetics Seeds provides an exceptional high that is motivational, uplifting, and clear. Despite having a lower yield than other cannabis strains, Tropical OG Feminised still offers exceptional strength, as well as a strong mix of physical and mental medicinal effects. Thanks to a significant amount of research bringing to light the many medicinal benefits of marijuana, more people than ever before are using the drug medicinally. 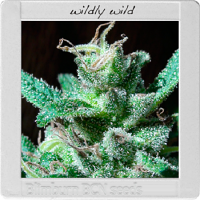 And, with a flowering time of 8 to 9 weeks along with the ability to produce fantastic buds that are densely coated in a healthy dose of THC, these pot seeds are sure to satisfy both novice and experienced growers.